Since Rembrandt’s death on October 4, 1669, only 82 of the over 300 copper etching plates he created during his lifetime are known to have survived the intervening centuries of war, natural disasters, and political and social upheaval. Fortunately, Rembrandt's copper etching plates were not sold in the late 1650's, when Rembrandt's house and most of his possessions were sold at auction to pay his creditors in connection with Rembrandt’s bankruptcy. 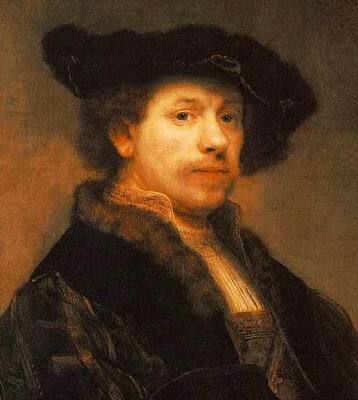 It is possible that Rembrandt's copper etching plates and his etching tools were considered tools of his trade and were exempt from sale by the court or, alternatively, that Rembrandt pawned his copper plates or gave them to friends to avoid the sale of his treasures by the bankruptcy court. It is documented that the majority of Rembrandt's copper plates, including the eight plates forming the Millennium Impressions, were owned by Clement de Jonghe after Rembrandt’s death in 1669. Clement de Jonghe, who was a print dealer and friend of Rembrandt's, recorded the first inventory of Rembrandt’s copper plates in 1679. It is even possible that Clement de Jonghe acquired the 74 plates referenced in his estate inventory while Rembrandt was still alive. From 1767 until approximately 1786, Rembrandt's copper etching plates remained in the collection of Claude Henri Watelet. In 1786, the over 78 of Rembrandt’s copper etching plates owned by Watelet were listed in a catalogue published for the sale of Watelet’s estate. In 1786, after Watelet's death, Pierre Francois Basan (1723-1797) purchased the entirety of Watelet's collection en bloc. It is likely that Watelet actually owned 83 of Rembrandt’s copper plates because Basan published a recueil of Rembrandt etchings from 83 Rembrandt copper plates between 1789 and 1797. At the time of Basan's death in 1797, Rembrandt's copper etching plates were inherited by his son, Henri Louis Basan, who published a limited second recueil. Henri Louis Basan subsequently sold the copper etching plates en bloc to August Jean between approximately 1805 and 1810. Impressions printed by Basan and his son in the late Eighteenth Century and early Nineteenth Century are commonly referred to as "Basan impressions." In 1916, Beaumont applied a layer of ink and varnish to protect Rembrandt’s 78 copper etching plates and placed them in green leather mounts with their titles in French in gold letters and set them in 10 large black frames. Alvin Beaumont owned Rembrandt’s copper etching plates until 1938, when he sold all 78 of them to his friend Robert Lee Humber, an American then living in Paris. Before Rembrandt’s copper plates were placed in their individual leather mounts, Andre-Charles Coppier examined each plate and published his study under the title Les Reliques de Rembrandt. In addition, in the 1920’s Rembrandt’s copper plates were on loan to the Rijksmuseum in Amsterdam for seven years during which time Beaumont attempted to negotiate the sale of the plates to the Rijksmuseum. Beaumont also offered Rembrandt’s copper plates to the British Museum of Art, but he was unable to reach an agreement with either of these museums. Robert Lee Humber returned to the United States to live in his native North Carolina, and the copper etching plates remained in his collection until approximately the early 1960's. At that time, all 78 of the plates were loaned to the North Carolina Museum of Art in Raleigh, North Carolina. Rembrandt's copper etching plates were stored at the North Carolina Museum of Art in Raleigh for over thirty years, from the early 1960's until 1993. At the time of Humber's death in 1970, Humber's heirs inherited Rembrandt's copper etching plates. In 1993, Artemis International in London and R.M. Light, a noted Rembrandt expert and art dealer, were engaged to sell Rembrandt’s 78 copper plates in the Humber collection. In 1993, Rembrandt's copper etching plates were sold to museums throughout the world and a select number of art dealers. Rembrandt's eleven copper etching plates from which many impressions were printed were sold to the current owners in a transaction brokered by art dealers in New York and Beverly Hills. At the time the current owners obtained Rembrandt's eleven copper etching plates, each plate remained protected by the layer of ink and varnish applied by Alvin Beaumont in 1916. To own an original etching by Rembrandt is trully an honor. Old Towne Gallery is considered experts in the field of Rembrandt etchings and encourages the seasoned collector or the novice to visit the gallery.